Arranging text and graphics on a page or slide can be a challenge for those not familiar with graphic design. Some basic principles can be easily implemented and boost readability and engagement. Images should be as close as possible to the narrative that describes them. When readers have to flip pages to connect the two pieces, we impair their cognition. Keep the narrative and the image or graph on the same page, to the extent possible. Inside graphs, this reinforces the idea that data should be directly labelled, rather than referenced by a disconnected legend. Empty space on a page or a slide creates visual breathing room, where the eyes can relax. The temptation is often to cram a page full of text but readers prefer some blank spots. This can be achieved through the use of columns and healthy margins in reports. In slides, this means fewer words. As best as possible, try to align images with text and headings with narrative. Everything should line up with everything else. This creates a sense of professionalism and organisation, whereas misalignment signals sloppiness to viewers. 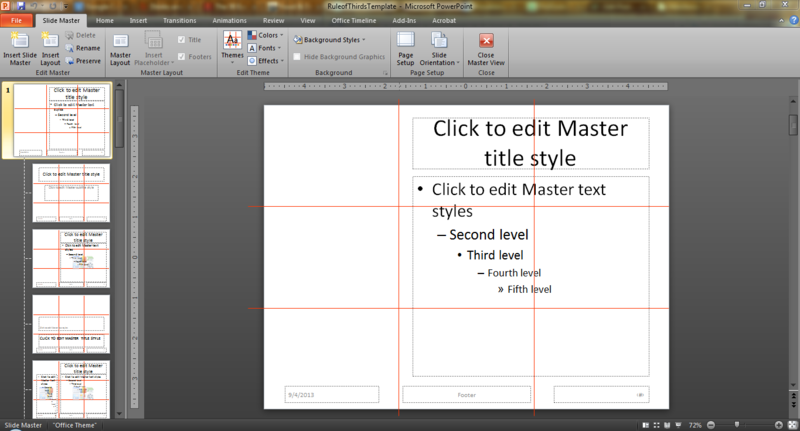 Rule of Thirds Template Slide: One way of ensuring alignment is to use the Rule of Thirds to compose a page or slide. 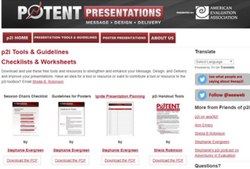 Read more about it and download a slide template on Stephanie Evergreen’s blog. Evaluation Reporting Guide: This guide from the CDC does a great job of allowing ample white space. Each page has a hefty margin on one side. Often the report writers have filled part of it with a sidebar or call out box or graphic. Guide to Participatory Video: Another great use of empty space is in the guide to Participatory Video. The guide has a light red margin down each page and the authors have strategically placed key ideas and quotes in those margins, without overcrowding the page with text. Impact assessment of financial market development through the lens of complexity theory: This report aligns content well, from one page to the next. You’ll notice a large margin at the top of each page with text all starting in the same spot. Within the text, the callout boxes align to the inner margin of each column.